The registry of the computer is similar to a storeroom in which the configuration settings are placed. These settings are those, which help the applications and programs to work on the computer. You can find the settings while utilizing registry editor. You probably know that wrong editing and crucial fine extension over the registry might lead to complete system failure. Hence, it is absolutely essential to take the backup of registry prior to editing. 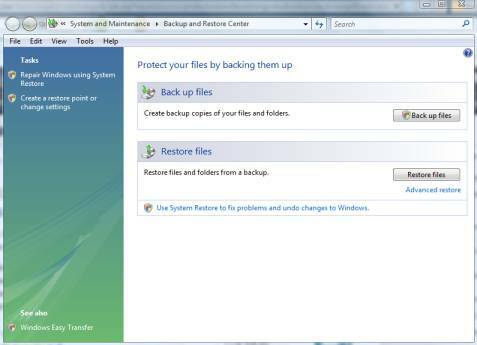 You have two options for this, you could choose to take the backup of complete registry utilizing the restoration point otherwise you can only take the part of registry, which you would like to edit. 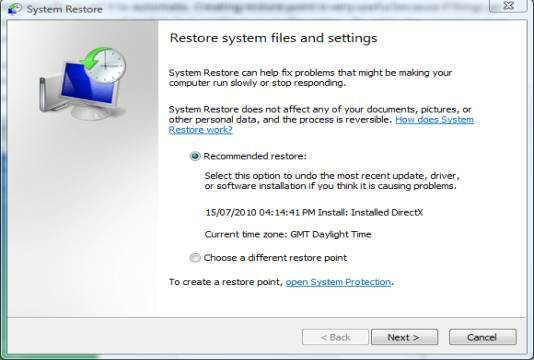 Start > type system restore in search box > Back-up and Restore centre > Restore point on the left side. Registry is important for all kinds of windows such as Windows 7, XP, and Vista. However, it is extraordinarily sensitive. Many things can damage it such as a simple un-installation of a program can change the registry, improper shut down etc. If your computer is affected by virus, spyware, Trojan, and worms, then these can harm the registry key and your computer will not function properly. You will have problems like Blue screen error, freezing, black screen etc. There are several registry cleaning software in the market such as Registry Mechanic, Registry Easy, Registry Fix, and RegClean etc.